literature and additional resources to help you achieve those goals. “Living shorelines” is a term used to define a number of shoreline protection alternatives that allow for natural coastal processes to remain through the strategic placement of plants, stone, sand fill, and other structural and organic materials. Living shorelines often rely on native plants, sometimes supplemented with stone sills, off-shore breakwaters, groins or biologs or other structural approaches to reduce erosion, trap sediment, and filter runoff, while maintaining (or increasing) beach wetland habitat, and/or riparian habitats (National Research Council, 2007). Several of these techniques are hybrids of traditional shoreline armoring and softer approaches to protecting shorelines and mitigating erosion. The goal of a living shoreline is to retain the shoreline stabilization effects of a hard structure, while maintaining the important functions provided by natural shoreline ecosystems. By working towards these goals, the Academy aims to reduce the degradation of coastal wetlands fringing shorelines and fish habitat that surrounds our nation’s estuaries -- one of our nation’s most valuable ecological and economic resources. Welcome to the Living Shorelines Academy! 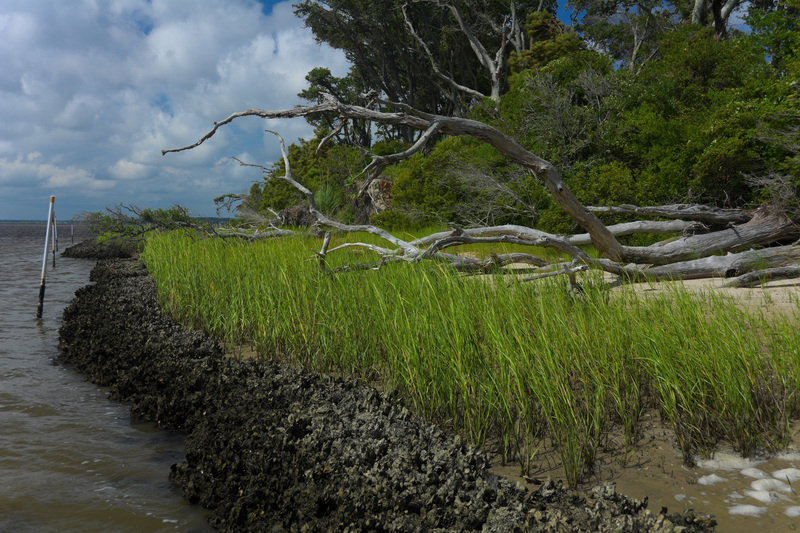 An Introduction to Living Shorelines from Restore America's Estuaries. Just announced! Join us for the 2019 Living Shorelines Tech Transfer Workshop in Beaufort, NC, October 8-9. The website has more information, including a draft agenda and travel details. New “Shore Friendly” resources available from Island County, WA: video, benefit cost analysis, and more – check it out! Alabama Department of Conservation and Natural Resources RFP for manufacturers of wave attenuation units for use in a living shorelines project. Proposals due by 3:00 CST on April 19, 2019. Details are available here.